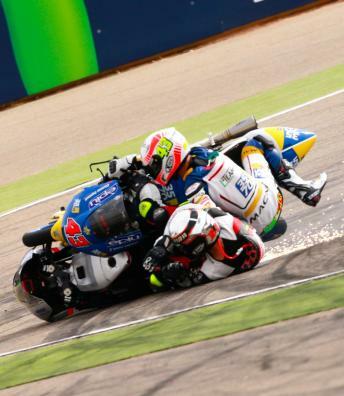 After the Gran Premio bwin de España, the Circuito de Jerez today played host to an official test day for the Moto3™ teams. At the first in-season Moto3™ test of 2015 at the Jerez circuit, Austrian factory KTM has made the first move in bringing a new development chassis to try and close the gap to Honda, who’s riders have won each of the four races so far. A very significant rule change before the start of the Moto3™ season means that manufactures are allowed just one chassis and swingarm upgrade this season, meaning that any change will be permanent until after the final race in Valencia. In addition, changes must be rolled out to all of the manufacturers’ bikes on the grid. 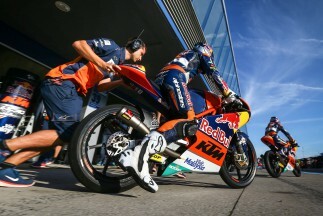 With this in mind, KTM Red Bull Ajo’s Miguel Oliveira and Brad Binder, as well as SKY Racing Team VR46’s Romano Fenati carried a big responsibility on their shoulders as they were tasked with evaluating the new machine. Unfortunately for them and the rest of the KTM riders on the grid, they didn’t find the new bike to be a clear improvement on the old one, so they will not be making the switch for the Monster Energy Grand Prix de France. Leopard Racing’s Kent and his Honda counterparts were not provided with any major upgrades from Honda, who are comfortable with the current performance of the bike. 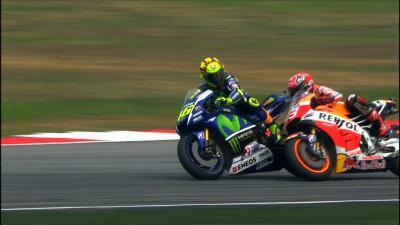 This resulted in the riders, including Gresini Racing Team Moto3’s Enea Bastianini and SAXOPRINT RTG duo John McPhee and Alexis Masbou working on their own base settings, such as suspension, geometry and electronics. Yet there was another very important aspect to today’s test, which was the introduction of two new tyres for the lightweight class. Dunlop brought a new rear tyre, unofficially called the M1, which is an evolution of its medium compound that was raced on Sunday. It has been designed to give more grip, yet retain its durability. The front tyre on the other hand is a different profile at 90/80, compared to the current 95/75, designed to give more stability, better corner entry, as well as durability. The main testers for Mahindra were the San Carlo Team Italia, whose riders Stefano Manzi and Matteo Ferrari tested some possible chassis upgrades, as well as a new exhaust system for the Indian manufacturer. Mapfre Team Mahindra on the other hand had fewer parts to test, and suffered a setback after an early crash from Jorge Martin. Sky Racing’s Andrea Migno, as well as Outox Reset Drink Team’s Alessandro Tonucci also suffered crashes, whilst mechanical issues hampered Ongetta-Rivacold’s Jules Danilo. The majority of the grid was present for the test, making the most of the track time they missed in the washed-out winter tests earlier in the year. 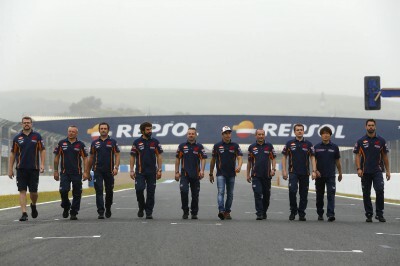 Notable absentees were Kent’s teammate Efren Vazquez due to illness, KTM’s Karel Hanika for educational reasons, as well as RW Racing GP’s Livio Loi, the Drive M7 SIC team, Aspar’s Juanfran Guevara due to injury, as well as the CIP outfit. 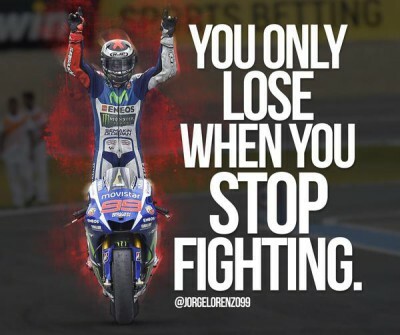 I have to congratulate Jorge for the race. Even if I had been at my best, I don’t think I would’ve been able to keep up with his pace. The beautiful paddock girls added some extra glamour to the occasion at the Gran Premio bwin de España. 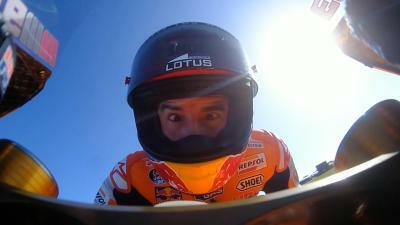 Pedrosa Blog: What would I do without you all! Repsol Honda’s Marc Marquez tried out a new swingarm as he only completed 31 laps during the Jerez test to protect his broken finger. 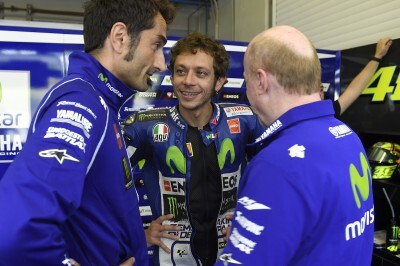 Movistar Yamaha’s Valentino Rossi focused on his bike’s set-up during the Jerez test and posted his fastest time of the whole weekend. CWM LCR Honda’s Cal Crutchlow tried out a new swingarm at the Jerez test as he ended the day as the fastest Honda. Aleix Espargaro left the Jerez test pleased with the progress his team have made, especially when it comes to power.